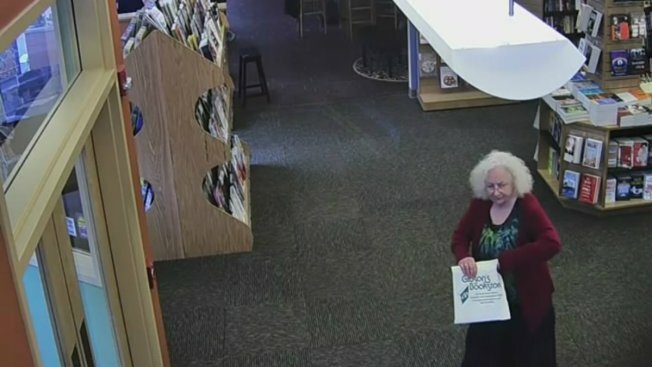 Police in New Hampshire are asking for the public's help in identifying a woman who is suspected of stealing Julia Child cookbooks from a bookstore. The manager of Gibson's Bookstore on Main St. in Concord told police on Monday that a total of 15 books were missing with a value of approximately $500. Upon viewing store video from April 7, it was discovered that an older woman had removed two books from the shelf and placed them under her skirt before exiting the store. The manager said the woman could be seen taking the books from the same section that holds Julia Child cookbooks. If anyone has any information about this crime, please contact: (603) 226-3100. You can also text TIP234 and your message to CRIMES (274637).